Dame Judi Dench, making off with what was supposed to be a James Bond movie. 2012 may have been an up-and-down year for women behind the scenes in entertainment, from a small rise in the number of television shows created by women, to the harassment of video blogger Anita Sarkeesian after she launched a Kickstarter campaign to fund a project examining the depiction of women in video games. But on film and television screens, and in the pages of popular novels, it’s been a rich and fascinating year for women in culture across races and generations. And for once, the best of them didn’t have to be virgins, whores, or even particularly nice people. Here are six of my favorites. 1. M, Skyfall: Sure, it’s James Bond’s origin story. 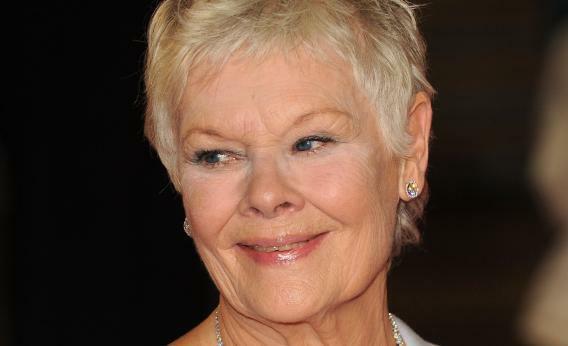 But in Skyfall, Judi Dench stole the movie as M, Bond’s long-time handler, in the twilight of her career. As she faces the consquences of the difficult decisions she’s made in the field over the years as she’s represented Britain’s interests, M confronts bureaucratic challenges in the form of a parliamentary inquiry and heads back into action to defend her best employee and surrogate son. 2. Olivia Pope, Scandal: ABC’s political drama can be one of the most frustrating and preposterous shows on television. But as Olivia Pope, Kerry Washington is a fascinating paradox: a Washington power woman who hasn’t forfeited her sexuality, and who doesn’t follow the maxim that big girls don’t cry. Her affair with the Commander in Chief may seem risible, but it’s also delectably human, a reminder that politicians are as hopelessly human as the rest of us. 3. Amy Dunne, Gone Girl: Initially, it seems like Amy, the disappeared wife of Not-So-Nice-Guy Nick, might be the victim of her husband’s desire to start his life over with his new girlfriend. But as Gillian Flynn’s twisty novel unravels, it turns out Amy’s a sociopath. She may not be the great female anti-heroine we’ve been waiting for in an age full of bad men we can’t help rooting for. But as a villainess who decides that all she wants is to start a family with her own flawed husband, there’s something fascinating about watching Amy get away with being a terrible person. 4. Suzy Bishop, Moonrise Kingdom: It’s no mistake that Wes Anderson’s best movie since The Royal Tenenbaums is about a girl who’s a lot like a young Margot Tenenbaum. Suzy’s angry at the world, and angry at her parents for worrying about her. When she runs away from home with a collection of science fiction novels and a record collection, Suzy chooses sweet, orphaned Sam, who sees beyond her rage, and the fact that she set out for a wilderness expedition wearing saddle shoes, as her companion. Young love has never been so spiky or electric. 5. Hushpuppy, Beasts Of the Southern Wild and Chazz Morningstar, Red Hook Summer: Hushpuppy lives beyond the Louisiana levees, where she confronts aurochs and her father’s death, and Chazz draws her initials into the cement of Brooklyn sidewalks and comes face to face with the frailty of the adults around her. But these two exuberant little girls are the queens of their domains, be they Southern wildneresses or storefront churches.